If you want assurance that you aren’t going to experience a sudden-death heart attack over the next few years, look not to your cholesterol numbers, but rather your calcium arterial score. According to the latest study (see chart below), the chances of experiencinga mortal heart attack or stroke over the next 4 years is nearzero if the measure of calcium deposits in your coronary arteriesis zero. On the other hand, if your calcium coronary artery scoreis 1000 or more, you only have ~15% chance of surviving over thenext 4 years. If your calcium artery score is greater than 1000,your risk of dying from a sudden-death heart attack or mortalstroke is ~28 times higher than a people with no calcificationsin their coronary arteries. With realization that sudden cardiac death is frequently the first manifestation of coronary artery disease, and with current technology only able to predict 65—80% of future heart attacks or strokes, and with one study showing just 25% of patients would meet the criteria for statin cholesterol drug therapy the day before theirfirst heart attack, modern medicine is desperately searching fora more reliable approach to predict sudden-death heart attacks. A growing body of data unequivocally shows that a measure of calcium deposits in coronary arteries is 99% predictive of future heart attacks.1 However, the cholesterol-theory of heart disease prevails andit would be quite an admission that cardiology has been misdirectedfor the past five decades, a concession that modern medicine isstill not ready to accept. But the fact that cardiac care costsmore than $475 billion a year may force stronger justificationof all the technologies employed to prevent and treat heart disease. SarwarA, Shaw LJ, Shapiro, MD, et al. Diagnostic and prognostic value of absence of coronary artery calcification J Am Coll CardiolImg 2009;2: 675—688. LesleeJ. Shaw, PHD, James K. Min, MD, Matthew Budoff, MD, Daniel S. Berman, MD, Induced Cardiovascular Procedural Costs and Resource Consumption Patterns After Coronary Artery Calcium Screening.J. Am. Coll. Cardiol. 2009; 54; 1258—1267. Blaha M,Budoff MJ, Shaw LJ, et al. 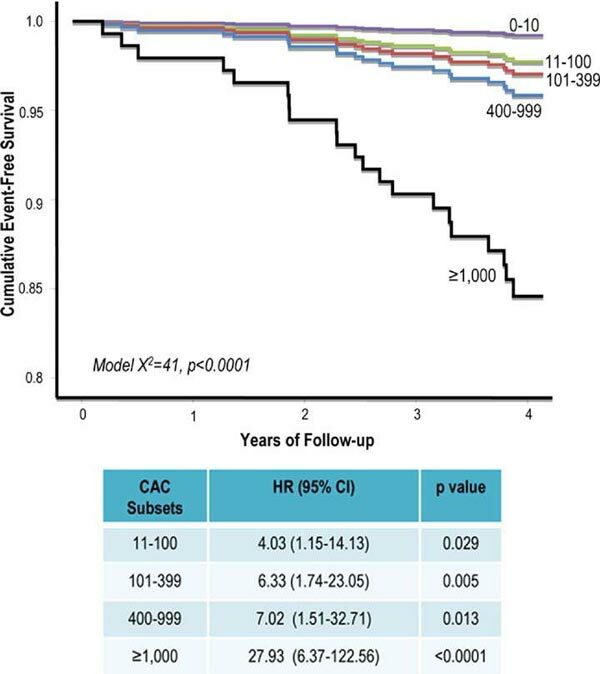 Absence of coronary artery calcificationand all-cause mortality J Am Coll Cardiol Img 2009;2:692—700. Am SheaMK, O’Donnell CJ, Hoffmann U, Dallal GE, Dawson-Hughes B, VitaminK supplementation and progression of coronary artery calcium inolder men and women. J Clin Nutr. 2009 Jun; 89(6):1799—807. SpiegelDM, Farmer B Long-term effects of magnesium carbonate on coronaryartery calcification and bone mineral density in hemodialysis patients: A pilot study. Hemodial Int. 2009 May 12.
de BoerIH, Kestenbaum B, Shoben AB, Michos ED, Sarnak MJ, Siscovick DS.25-hydroxyvitamin D levels inversely associate with risk for developingcoronary artery calcification. J Am Soc Nephrol. 2009 Aug; 20(8):1805—12. Seely S,Is calcium excess in western diet a major cause of arterial disease?Int J Cardiol. 1991 Nov; 33(2):191—8.